This week we have a rather special website to bring you for our Featured Friday presentation. Gallereo are proud to announce the launch of a brand new website for Aston Art. 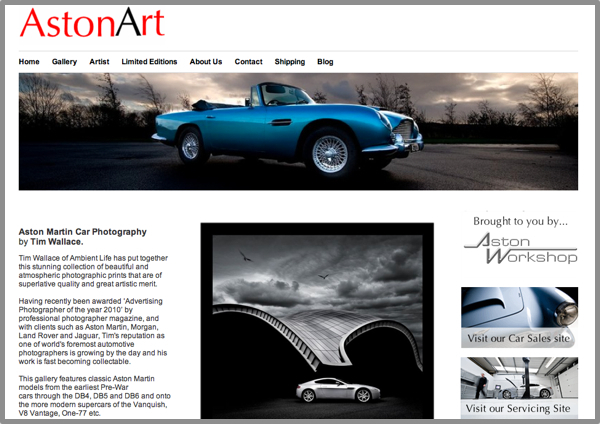 Aston Art is an extension of North East-based business, The Aston Workshop. The Aston Workshop is an incredibly successful company that deals in the sale, restoration and enhancement of Aston Martin cars. The Aston Workshop is a world leader in the work that it does, and is certainly the place to go if you're interested in anything related to Aston Martin. Aston Art is a branch of the Aston Workshop, specialising in the sale of works of art relating to the cars, and lifestyle, associated with this famous brand. James Bond fans, you're in for a treat! 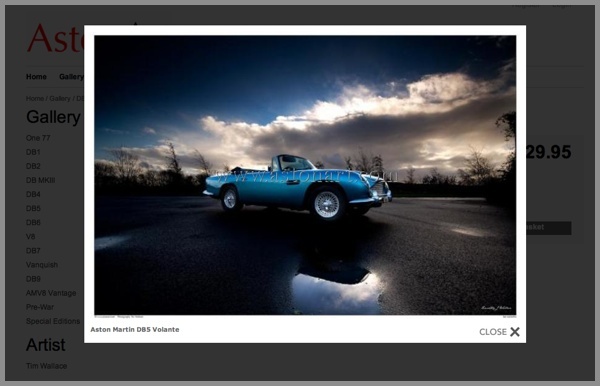 The site currently features the photographic works of Tim Wallace who has long been involved with the Aston Martin brand, creating stunning collections of photographic prints that have earned him a reputation as a leading automotive photographer, and awards such as Advertising Photographer of the Year, 2010. Aston Art had already established itself as a commercially successful business before moving their site over to Gallereo. We are really glad to have Aston Art onboard and look forward to seeing even more fantastic works as they build on their collection over the coming months. 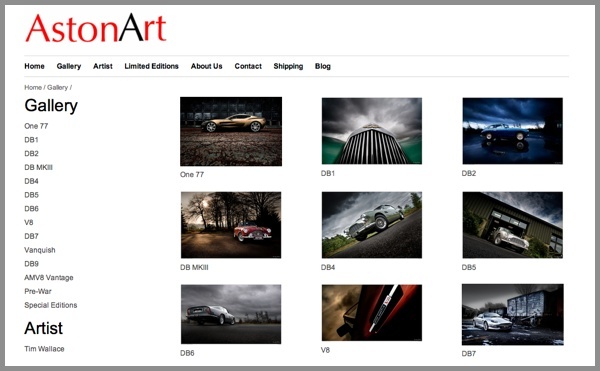 Visit Aston Art to view their range of photographic prints showcasing such legendary cars as the DB4, DB5, DB6, Vanquish, V8 Vantage and One-77.